Shobhit Modi, a 20 years IT student was killed in south Delhi’s Vasant Kunj on5th May’2011. 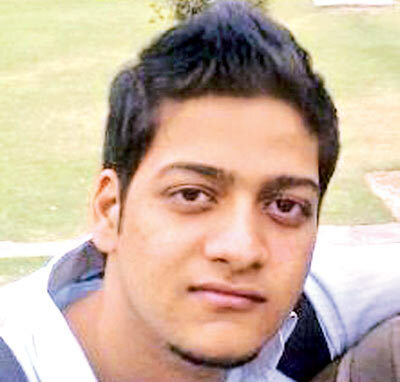 Shobhit was a 2nd year IT Engineering student at CITM Faridabad and was as an ethical hacker. Shobhit was injured with a sharp object by unknown attacker just a few hundred metres from his home. Shobhit is a pass-out Student of Delhi Public School R K Puram, son of the MMTC (Mines and Minerals Trading Corporation) General Manager, was found stumbling towards gate number three of C-5 Vasant Kunj by the guard around 9.50pm. On 5th May, at 9.10pm Shobhit Modi calls up home in C-6 Vasant Kunj, says he’ll return in 30 mins from DLF Promenade Mall. At 9.50pm Guard at C-5 Vasant Kunj spots Shobhit stumble towards colony gate, thinks he is drunk. When he slumps on the car barrier, guard finds him bleeding from multiple stab wounds. A friend rings up Shobhit at 9.55 pm & Guard tells caller about stabbing. The caller soon informs Shobit’s family. At 10.00 pm Modi family takes him to the hospital, where he is declared dead. Shobhit was crying for help & a security guard rushed to his aid. But unfortunately the security guard could not operate Shobhit’s iPhone to inform his family. A crucial 20 minutes of Shobit’s life were waste in all this. By the time Modi’s family was contacted and he was rushed to Fortis Hospital, he was already dead. A large number of friends of the victim as well as the parents of his girl friend have been questioned by the police so far. But the movement and conduct of this particular acquaintance had been under the scanner for quite some time, an officer said. The boy's family has earlier even alleged that his girl friend's relatives had threatened Shobhit some time ago over their relationship. The girl's family, however, denied this. Shobhit was said to have met the girl along with some other friends at a mall in Vasant Kunj some time before he was murdered. The police reconstructed the scene of crime in Vasant Kunj and looked into the Shobhit's Facebook page for clues. They also probed the angle of road rage. He was killed by a sharp weapon and according to Police there are four marks of knife on Shobhit's Stomach. It is not a case of Looting because police collected the I-pod, Watch and Wallet of Shobhit with full of money near his body and this had led the police to arrive at the conclusion that robbery was not the motive behind the murder. Delhi Police Commissioner BK Gupta denied any breakthrough in the case, but senior police officers said the detained person is the main suspect. “We have questioned over 100 local criminals. The detained person was one of them and is the prime suspect as he had left for Kanpur a day after Shobhit was murdered,” said a senior police officer requesting anonymity. On 27th May, Police got the killer of Shobhit Modi. Deepak Malik is arrested for that. According to the sources Deepak has accepted that he murdered Shobhit Modi. Deepak belongs to Kusumpur Pahadi. Police has not shown the arresting of Deepak Malik, because they want to collect some more Strong evidences against Deepak. According to Deepak he and his friend was on the road of Vasant Kunj and he hit with Shobhit. After that they both abused each other and they started quarreling. After Shobhit's Protest Deepak stabbed in his stomach by a knife. Now Deepak is in Police Custody But they are not showing his Arresting. Police is trying to collect more Strong evidences against Deepak.